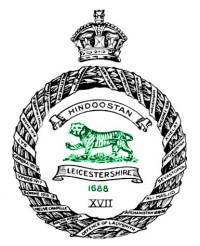 He served in The Leicestershire Regiment, and played rugby 68 times for Leicester Football Club between 1899 and 1911. Do you have more information about Lieutenant M S Scott ? If you have any further information or photos regarding Lieutenant M S Scott that you believe we could publish, please click here to contact us.